Win tickets to Pixie’s exclusive album launch! 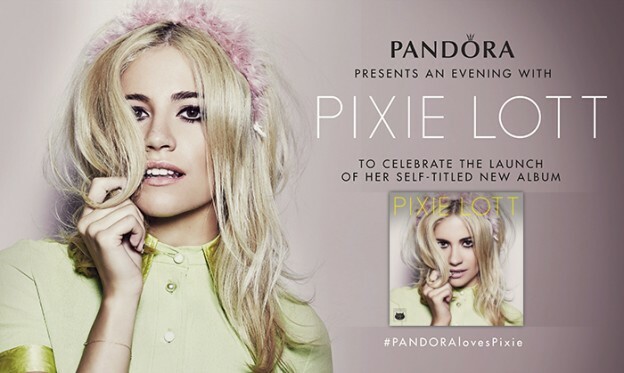 Fancy winning tickets to Pixie’s exclusive album launch next week? If that’s a big YES, say why and you could win! Record a personal message to Pixie in 15 seconds using Instagram video, and upload it using the hashtag #PixieAlbum3 for the chance to win this once in a lifetime opportunity! Pixie’s giving away one pair of tickets for a winner and a plus one to attend the exclusive London launch. And remember, the more creative your video, the better! Make sure you include the hashtag #PixieAlbum3 and username @pixielott and upload your entry to Instagram and share to Twitter before midnight on Thursday 31st July. Discover the brand new album and pre-order on iTunes. To enter participants must tweet a video of themselves telling Pixie why they want to attend her album launch event. This tweet must include the hashtag #PixieAlbum3. The tweet must be tweeted to Pixie Lott’s twitter account (@pixielott). This competition will be announced via @PixieLott on Twitter. Please note the competition is run independently of Twitter and Instagram, and is not in any way associated with the social media platform. Closing date is midnight, Thursday 31st July 2014. Winners will be notified, if successful, via Direct Message on Twitter on Friday 1st August 2014. The prize is two places at Pixie Lott’s album launch event at The Langham, London on 5th August 2014. Winners will be notified within 24 hours of the competition closing that they have won. There is no cash or other alternative to the prizes stated and the prizes are not transferable and no part or parts of the prize may be substituted for other benefits, items or additions.